Influencer marketing is a lot more sophisticated than just buying banner ad space. It means getting your message out to your influencers, who will in turn create genuine, quality content that other consumers can relate to. This spreads your message even further, and ultimately translates to more sales. But how many more? 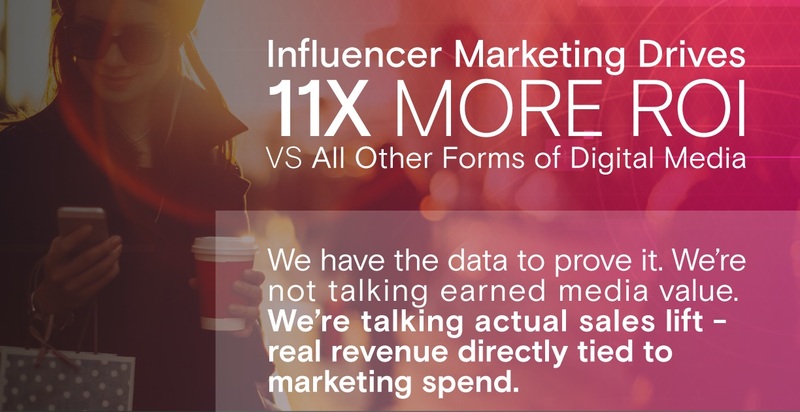 This infographic created by TapInfluence in collaboration with White Wave and Nielsen Catalina Solutions is based on results from their ground-breaking study, which connects influencer marketing to its impact on sales. Let’s see what they found out.